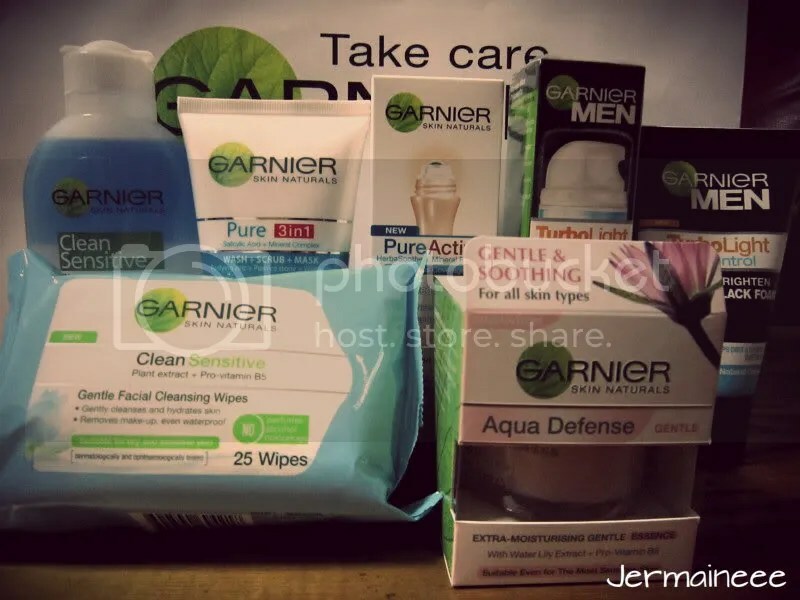 Attended Garnier’s event last week and many thanks to Dale for the kind invitation.. 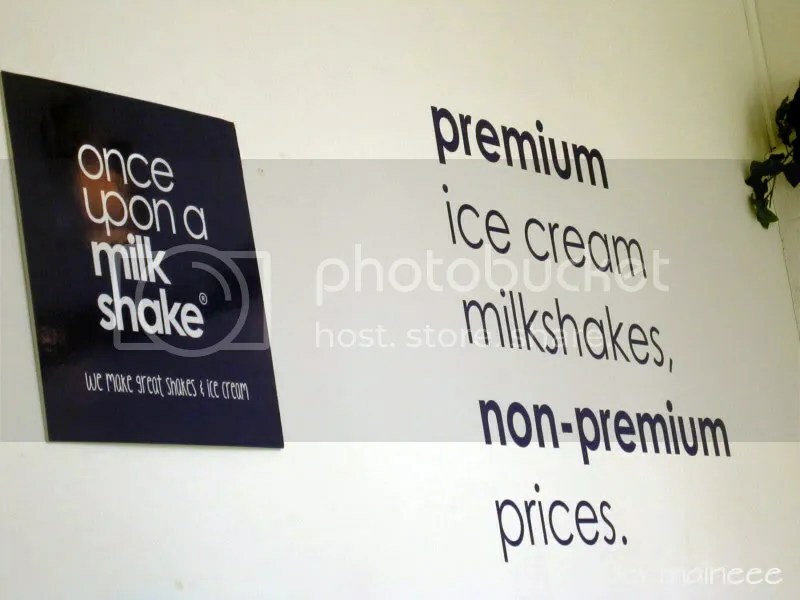 Event is held at ‘Once Upon a Milk Shake’ located at Maxwell Chambers..
OUAM offers a wide selection of premium milkshakes at non-premium prices which guarantee to satisfy your sweet cravings..
OUAM has more than 20 variation of milk shakes and each is represented by an unique animated character.. 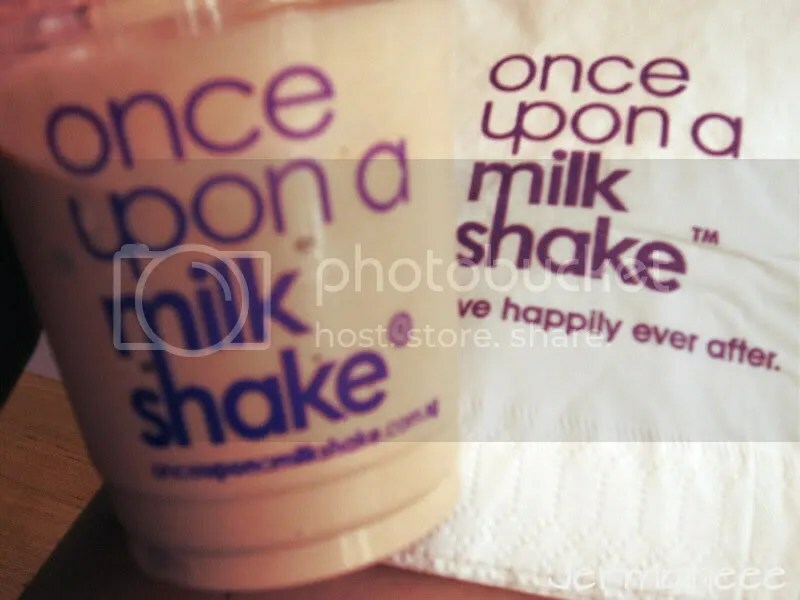 Since their milkshakes are produced by blending Ouam’s ice cream and low quality low-fat milk together, everyone can indulge in thick and creamy ice cream milkshakes.Ordered the ‘Spooky Mocha’ and it is really thick and creamy.. Sinful much!!! 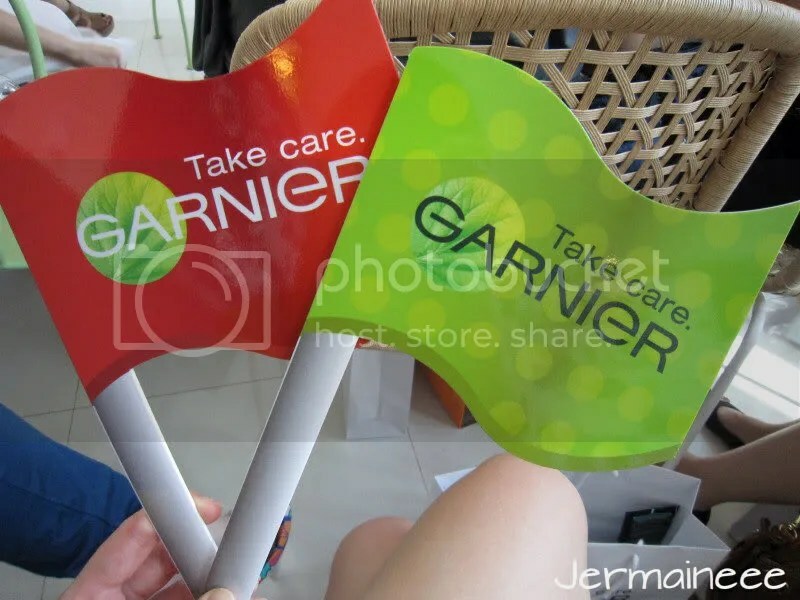 If you have not heard of Garnier before, you might seen it in Watson and Guardian etc… Garnier originates from France and the brand focuses on happiness. 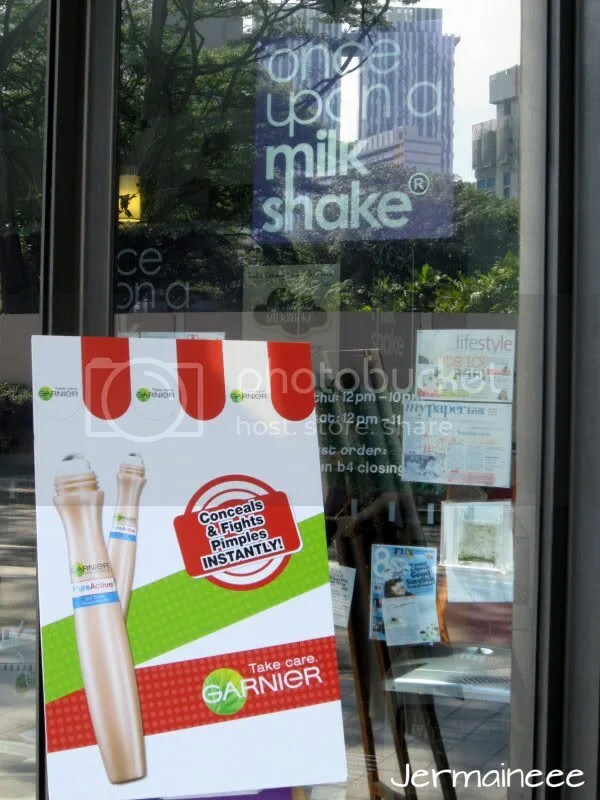 Garnier believes that everyone have his/her own natural beauty and has the power to make that beauty shine through. As the aim of beauty is happiness and feeling at ease with yourself and others, it is all about taking charge and control. In the same spirit, Garnier also make sure that active natural ingredients are used in every products which perform for the skin’s maximum benefit. 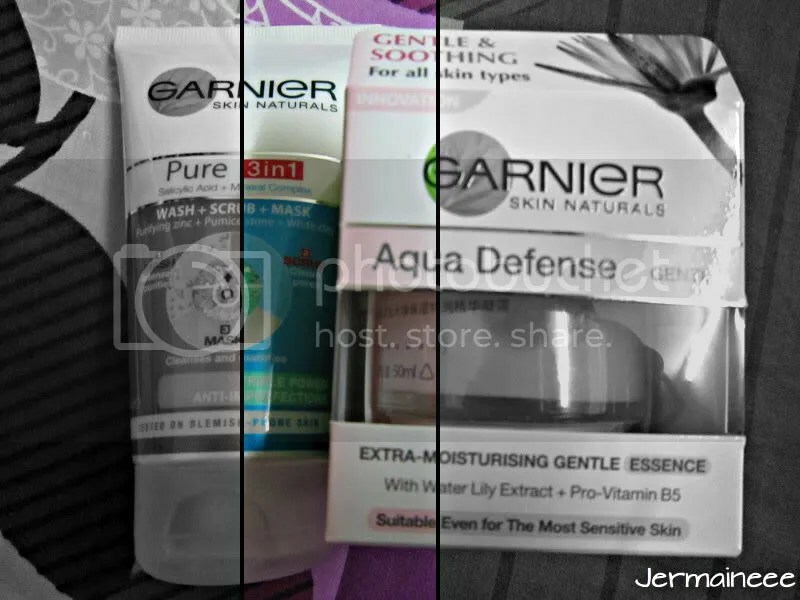 I have tried some of the products and i’m in love with their Garnier Light Perfect Fit and Relax Whitening Mask. You can see results with only one sheet as it helps to brighten my dull skin instantly… Best of all, it suits all skin type including those really sensitive ones (like mine). 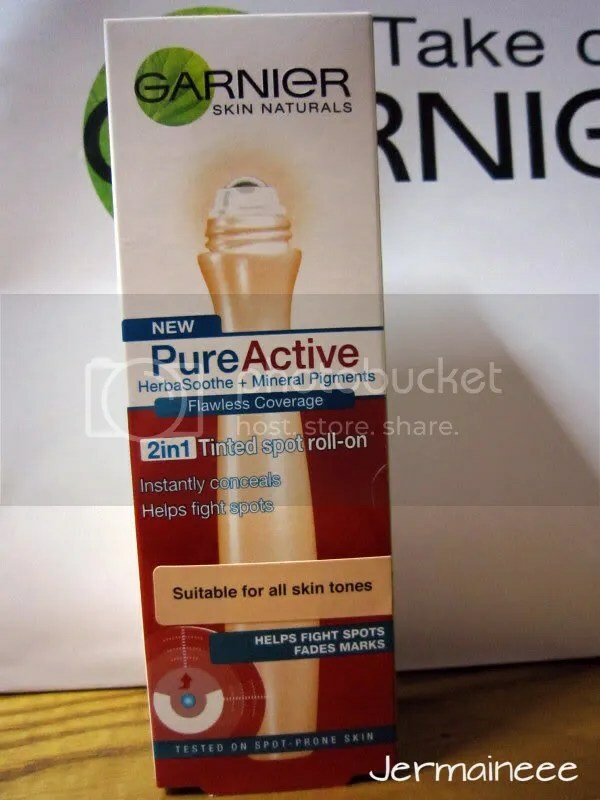 The launch is about the newly released product – Garnier Pureactive 2 in 1 Tinted Pimples Roll on which fights and conceal pimples at the same time. This product offers an instant and fuss-free solution that covers pimples and blemishes fast with long-lasting treatment effects. 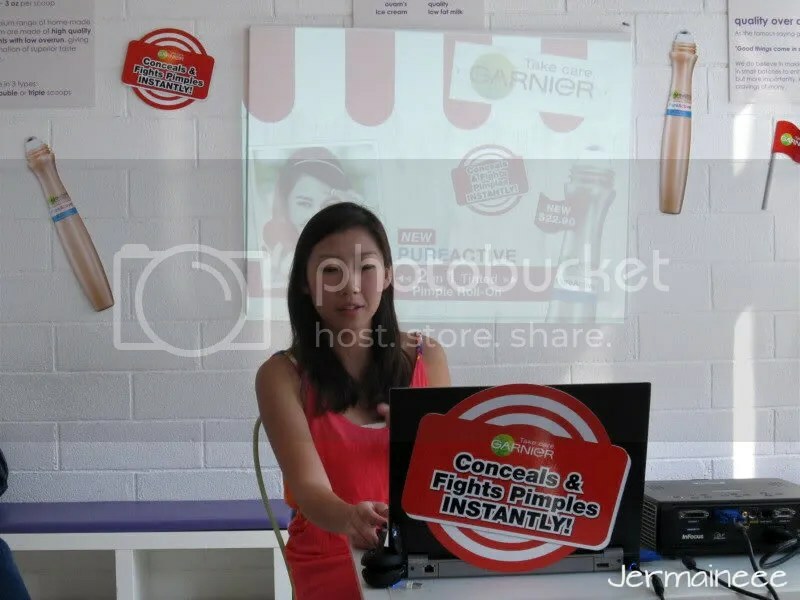 In Singapore’s stressful environment and humid climate, pimple breakouts are inevitable.. Often, we want a product that will hide those nasty looking pimples fast and effective without worsening existing skin condition. Using ordinary make-up and concealer to cover up is a temporary solution that could aggravate the condition. 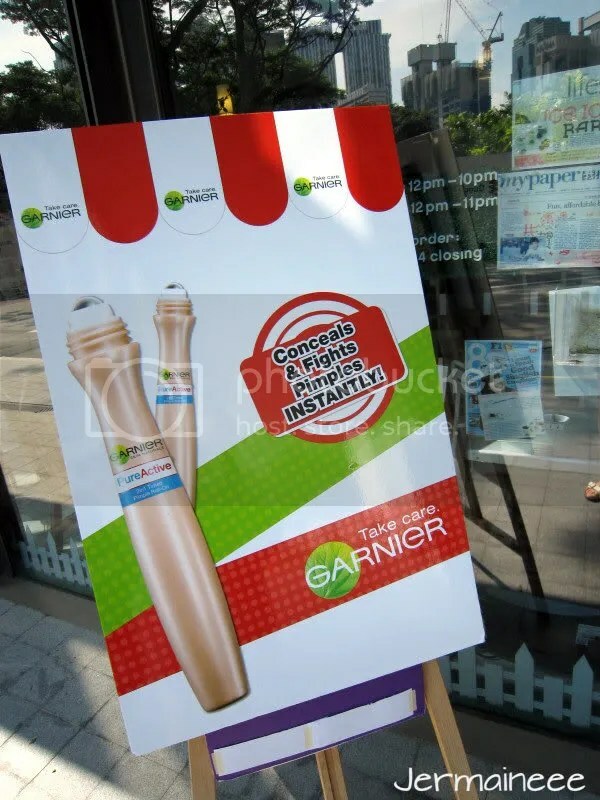 With that in mind, Garnier (Being the King of roll-on) has introduced, the Garnier 2-in-1 Tinted Pimple Roll-On which conceals current blemishes and pimples conveniently and has an instant drying effect to help protect against spots at the very first sight. This product aims to provide a solution that both treats and nourishes the skin to keep it free from imperfections. Killing two birds with one stone, the roll-on covers in 1 second, and treats in 24 hours using its HerbaSoothe complex and active drying ingredient which works to soothe and dry pimples in 24 hours. hours with just one application. Even in today’s hot and humid climate, its thin and light-layered texture stays soothing to the skin. Despite the high concentration of mineral pigments, the roll-on remains non-comedogenic to ensure maximum coverage comes with maximum skin health. One of the most difficult challenges is to leave skin looking healthy and fresh even after an outbreak. In this product, Garnier uses HerbaSoothe, a natural blueberry extract to boost cell regeneration without compromising the quality of skin. The enriched HerbaSoothe and drying agent formula dries out spots quickly and effectively, and accelerates the resorption of residual marks. 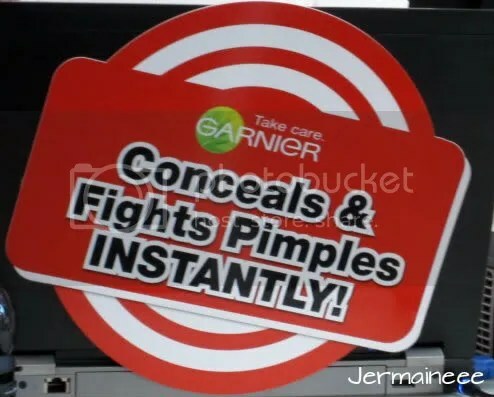 As it has a Pocket-sized packaging, the Garnier 2-in-1 Tinted Pimple Roll-On makes the ultimate life-saver when pimples decide to attack your skin suddenly. 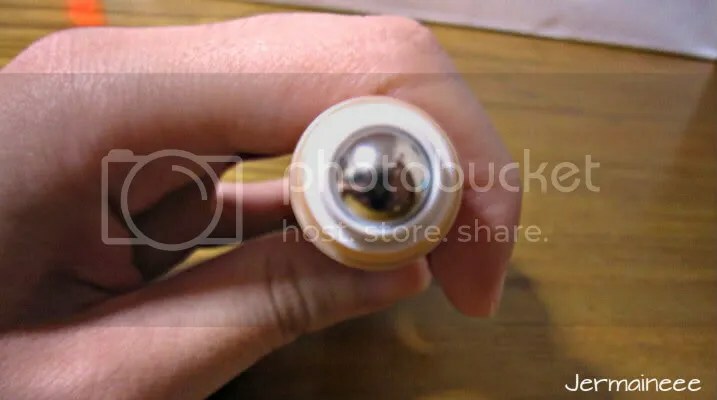 Being light, convenient and easy to use, roll on is all it takes to make blemishes disappear magically in just a second. No oily or mask effect is produced either, allowing the roll-on to provide comfort and convenience at its best. 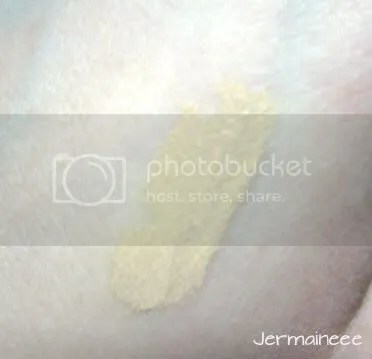 Did a test on my hand and you can see that the color pigments (on the warm side) seem a little dark on my skin.. After some blending, it became more natural but it is still a tone darker.. If you are fair, i will suggest that you use it under your foundation / base make up in order to neutral the Orangery tone. After using it for a week, i’m so pleased with the product as it can conceal my imperfection without clogging my pores… Results can be seen after doing my weekly peel off deep cleansing mask, there’s so much lesser ‘junks’ being removed by the mask (as compared to amount of dirt removed when i’m using concealer). Will really recommend this product if you wish to hide imperfection without worsening your skin condition. 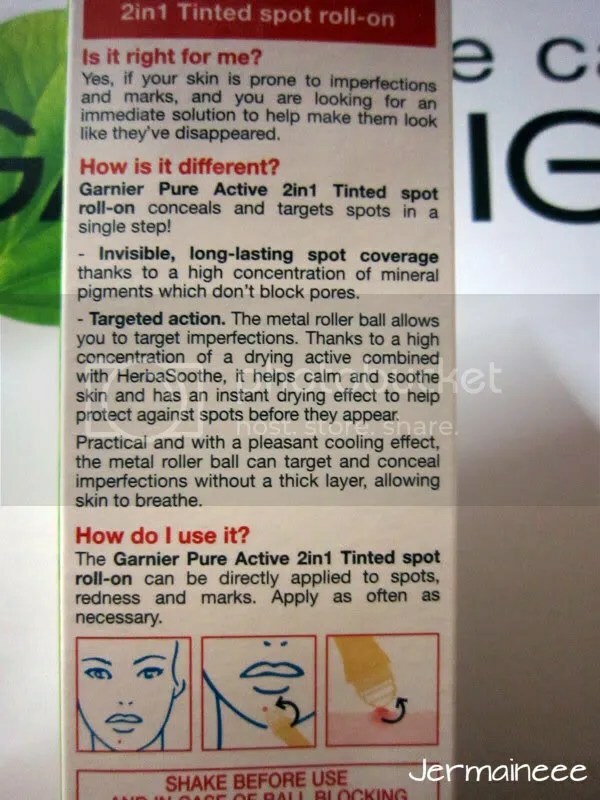 Garnier 2-in-1 Tinted Pimple Roll-On retails at $22.90 and it is available at Watsons, Guardians, major supermarkets and hypermarkets and selected departmental stores from May 2012 onwards. Beside the Tinted Spot roll on, we got to bring home other products as well! 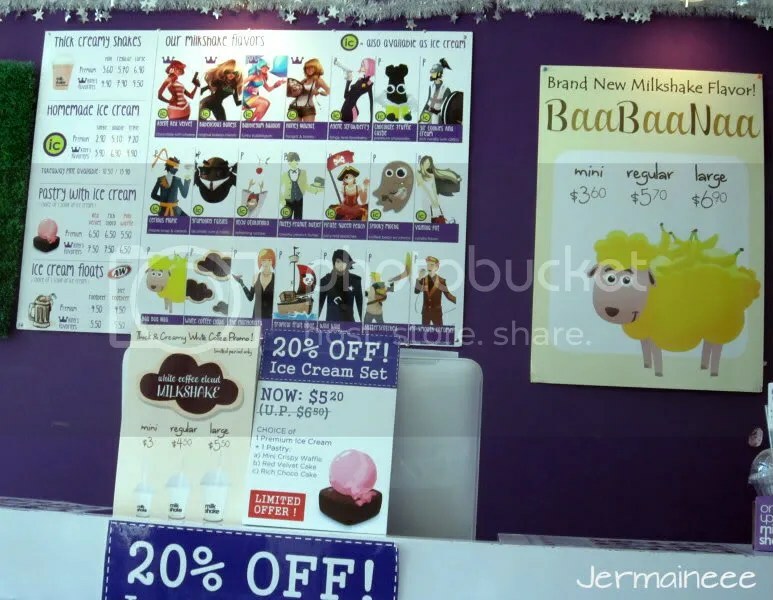 Of course, these products were passed on to my beloved bf! 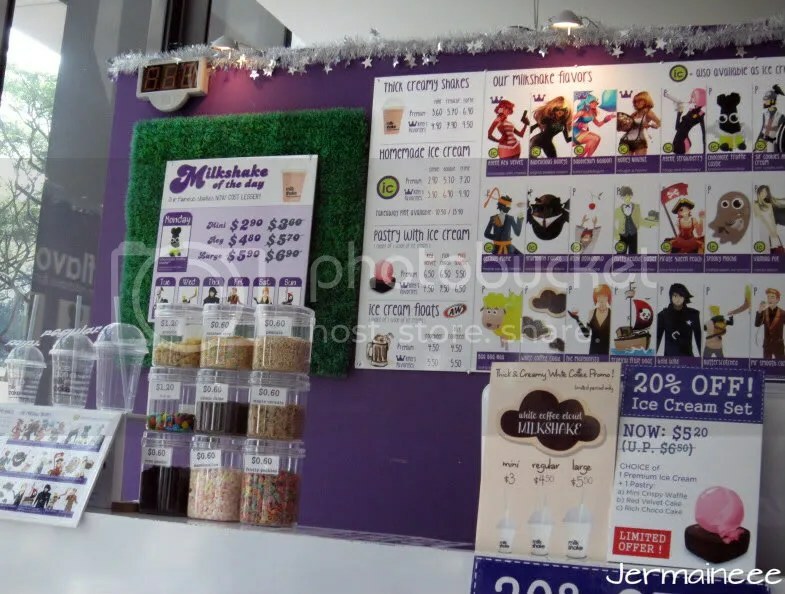 I don’t mind trying the ice matte gel in Krabi on my sun burnt skin as it is said to have a cooling and soothing effect on skin while keeping it moist. Saw these products in Watson and i wanted to try the cleansing wipes.. 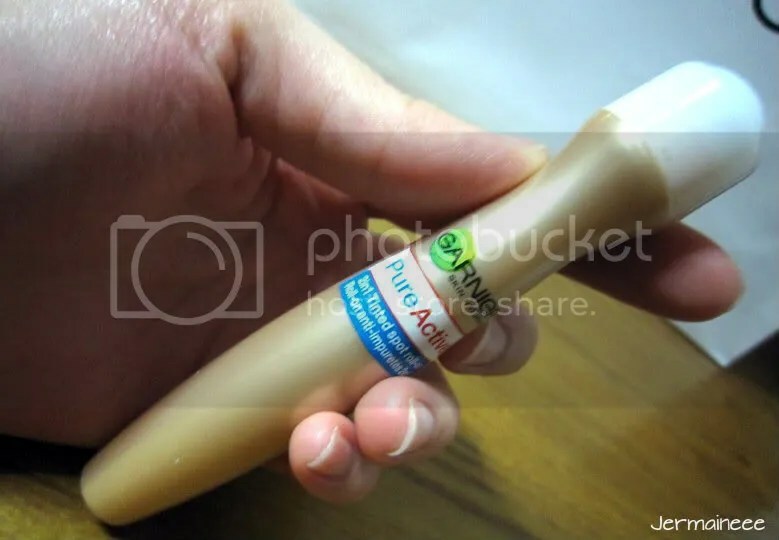 So glad to see it in the goodies bag and i tried it during make-up removal on the same day.. The wipes are really moist and one sheet is enough to remove my make-up (which consists of concealer, BB cream, loose powder and water-proof eye-liner).. It leaves my skin clean and supple without any irritation as every sheet is soft to the touch fragrance free. This cleansing wipes will be good on days when i’m feeling lazy and wants a quick solution to remove all my make-up. 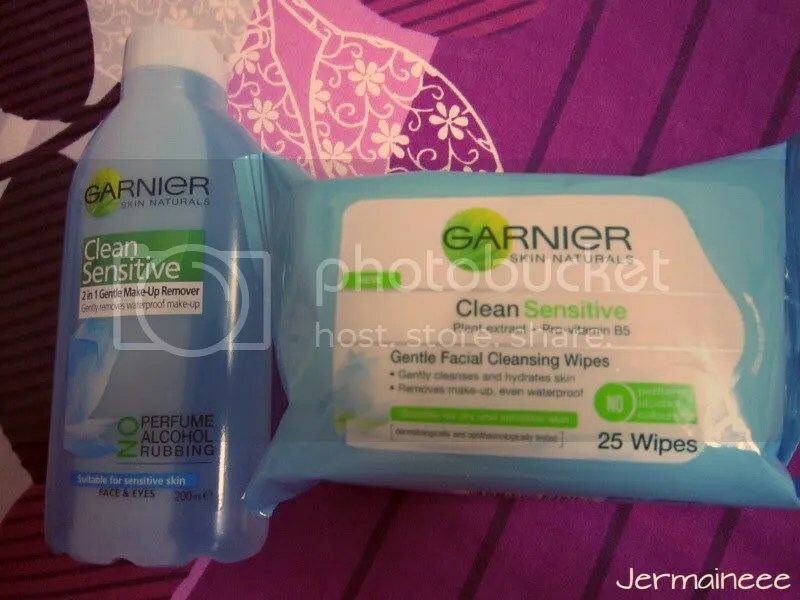 6) Garnier Aqua Defense Extra moisturizing gentle essence..
Alright! 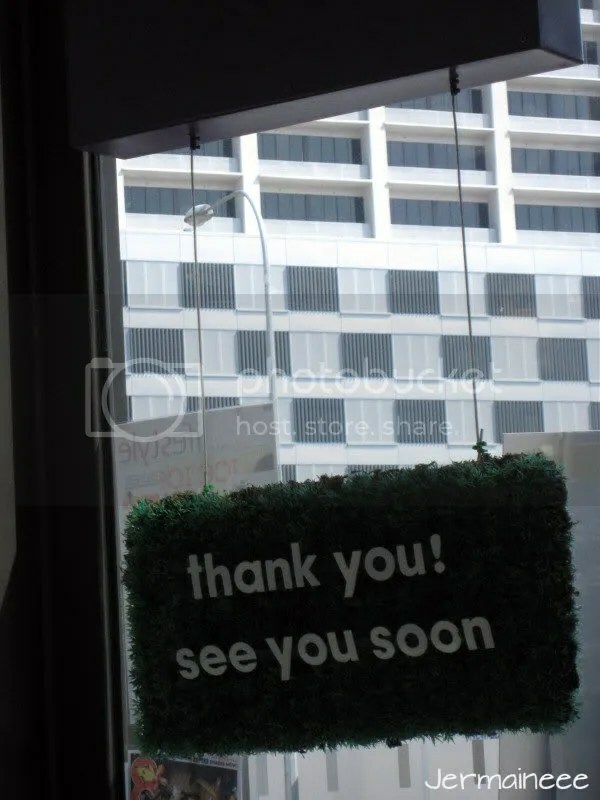 I have come to the end and hope you have enjoy reading this post.. 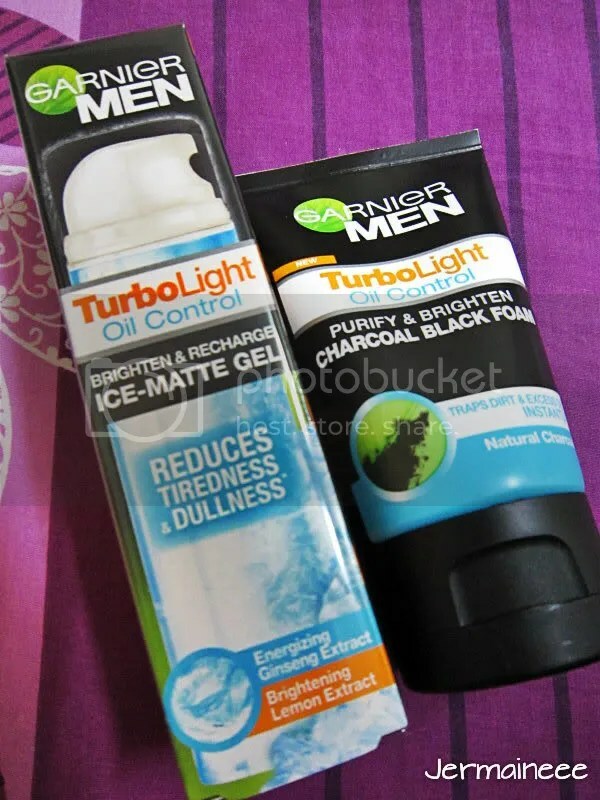 In the next post, it’s time for some anti-fog action!! Stay Tune to find out more! Have a good week everyone! (Announcement) Have a Blooming Beautiful Day with ZA total Hydration BB Cream UV.